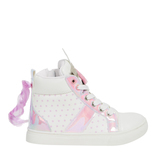 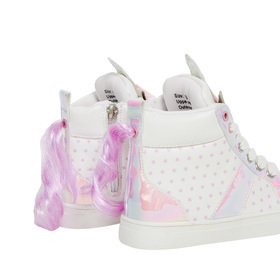 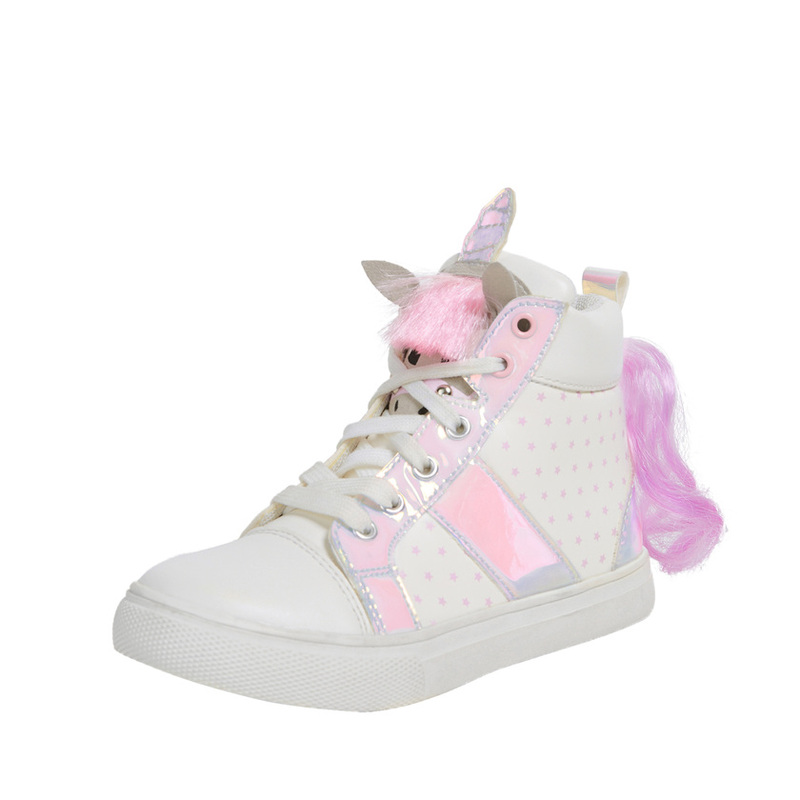 Check out these awesome unicorn sneakers! 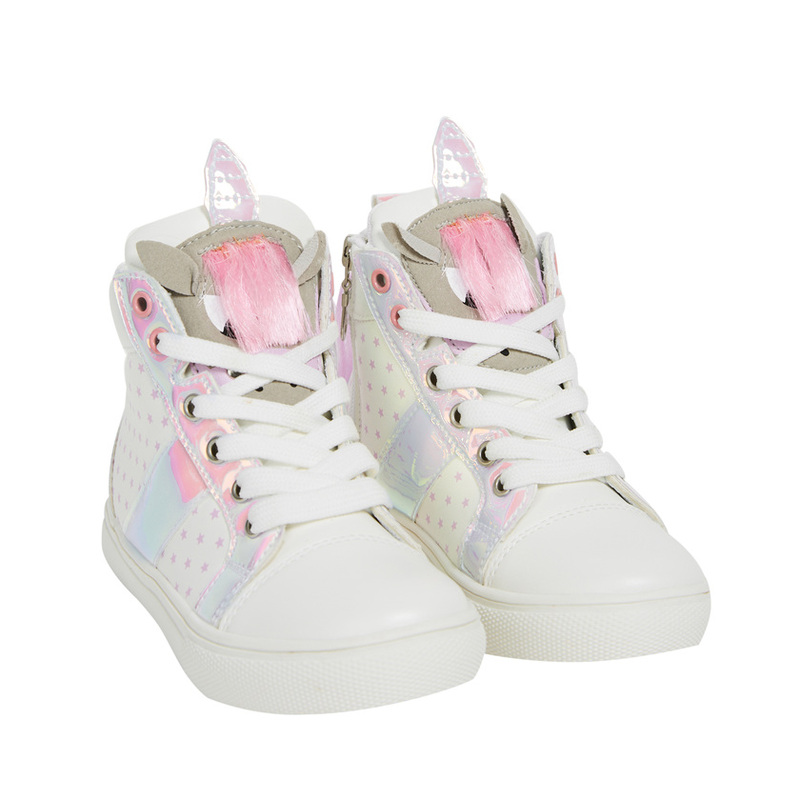 Features fun holographic elements and 3D details! Side zipper and back pull-on loop for easy on and off. 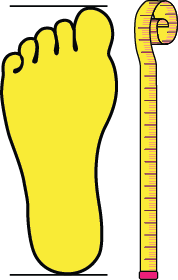 Cushioned insole for extra comfort.